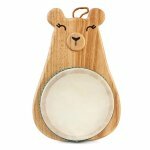 An engaging 10.5″ bear shape everyone will love! 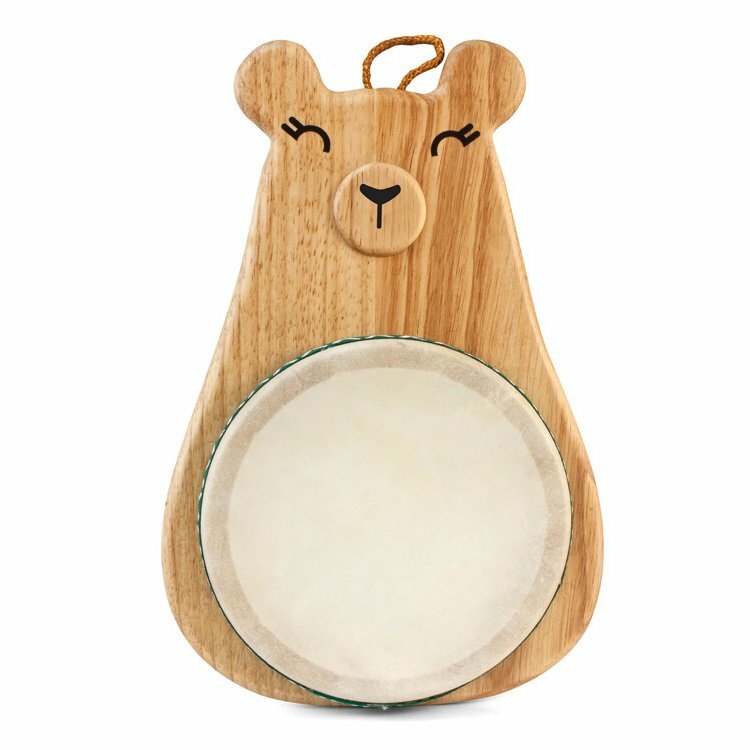 A 6″ natural head drum that is recessed into the Rubberwood body provides an easy playing platform. Hanging loop for playing on the go or in a marching band. Loop can also be used for holding or hanging. Play it with your hands or included wood mallet. All wood construction made from environmentally friendly Rubberwood with a non-toxic clear coat finish and water based VOC free paint.